Writing original and unique content that is beneficial for readers and also optimized for search engines is one of the most difficult challenges for any blogger or a content marketer. SEO or Search Engine Optimization is the on-going process of optimizing a website so that Internet users or readers can easily find the article or piece of writing through search engines. In other words, SEO content writing serves to attract search engine traffic. Note that there are two kinds of searches, so you have to understand the difference between organic and paid. 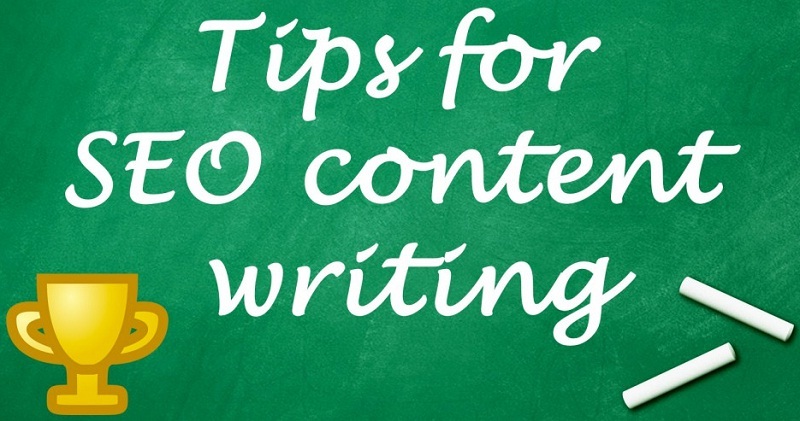 Below are the some of SEO Content Writing Tips to Boost Search Engine Traffic. Always post original content. Plagiarism is frowned upon in the industry and must be avoided at all cost. If you want to be considered as a credible and trustworthy website, act the part and do not cheat on your customers and potential clients. While it is necessary to use some other websites as source and basis of your content, copying the content word by word is another thing altogether. If you are wondering if an article you are about to post on your website is plagiarized or not, you can always use a free plagiarism checker to confirm. When it is quite hard to revise a specific part of the content because of some technical aspects and jargons, you can quote the source, provide a link, or cite the author accordingly. Get to know who your customers or web visitors are including their age, location, and interests. Their demographics will give you an idea on which topics to write about. You have to keep in mind that every original content you post must be relevant and appropriate for your audience. As examples, their age can represent what type of activities they are interested in doing and their location will tell you what the current trends are, such as in fashion. Making an outline before proceeding to write your content can help you in a lot of ways including maintaining a logic all throughout the article and tracking your progress until you are finished with your content. Outlining starts with creating a list of your main points and then your supporting points so you are sure not to miss out on anything. You can use bullet points or numbers, depending on which procedure you are more comfortable with. Bloggers and content marketers often make the common mistake of not focusing on long tail keywords. These are words that are less competitive but are actually a better strategy to promote your content on the web. The reason for this is that the longer your keywords are the lesser the search results are thereby making your website easier to locate by the potential customers. You can also increase traffic to your website by learning about SEO Backlinks. The active voice in writing is when you identify your subject as the doer of the action thereby making it sound more personal to the readers. As an example, instead of saying, “Cookies are being sold by us,” say “We are selling cookies.” Using the active voice makes sentences simpler and easier to understand. This way, it makes the content more attractive to users and makes them potential customers. While you need lesser effort to finish shorter and simpler articles, complete and comprehensive articles help add traffic to your website. It is important to give value to the quality of your articles provided that there are a hundred of other related articles. To stand out, it must be well-researched and well-written, and comprehensive enough so that readers no longer have to look for other sources. Keeping your paragraphs short and concise help in its readability in a sense that users will find it easier and faster to read, at least visually. It should be easy for you to break your content into paragraphs by using the outline you made beforehand as your guide. The trouble with long, complex paragraphs is that it looks tiring and confusing to skim through so users tend to just leave the page and look for an easier content to read. Headings and subheadings provide a quick information about what the subsequent paragraphs would be and save time for them to have to go through several paragraphs first before knowing what they are about. Additionally, headings and subheadings help to explain to search engines what the content is about consequently promoting your website further up the rank. Cramming too many keywords in one content is not a good idea and will just make your content harder to read. Instead of using the same keywords all throughout the content, you can opt to use synonyms in lieu of the standard keywords. Additionally, it makes your content smarter and a better read, instead of ending up sounding ridiculously repetitive. A content with just plain text, especially if quite long, can be boring and discourage your audience from reading on. Incorporating visual media into your content will not only grab user attention but also bring more traffic when optimized for search engine. Visual media can keep your content more interesting and hold the attention of your readers because it gives the latter a break from plain text. If you need more proof, just look at the popularity and success of Instagram and Snapchat. Anchors are the clickable text in a hyperlink which leads users to the source or reference material. Best practices in SEO provide that anchors be more relevant than generic. Anchors are one of the many signals that search engines use to establish the topic of the web page. Because we want these anchors to be as relevant as possible, they must be descriptive of where you are directing your readers to. Like any other good article, SEO content must be both well-researched and well-written. This means that you have to edit more than once to ensure that your content is perfect of any error before you post it on your website. Good content attracts more readers and potential customers because it adds credibility to the website. When you edit, you add or delete content that you find irrelevant or relevant, as the case may be. Give your first draft sometime before you start editing to detach yourself from it and make it easier to find mistakes. Once you are done posting your content on your website, do not be shy to promote it to all your social media accounts including Facebook, Instagram, and Snapchat. Your goal is to get your content out there. As a consequence of getting your content out there, be prepared and know that it will be subject to feedback. Be open to these feedback and customer reviews as you could use them to your advantage in improving your content. Overall, do not rush in writing your content. Take your time and craft it to perfection. While it is easier and faster to write content that is short and simple, remember that customers are smarter than they ever were before and prefer quality and comprehensive articles that will give them value for their time.